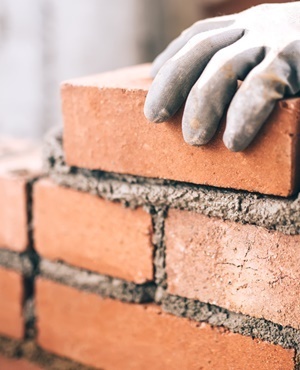 Cape Town – It is not enough for the construction industry to simply comply with the minimum requirements of black economic empowerment, according to Gregory Mofokeng, general secretary of the Black Business Council in the Built Environment. “We are all about ownership being in black hands. Ownership is very important,” he emphasised repeatedly during a panel discussion on transformation in the construction industry, which took place at the annual congress of Master Builders South Africa. In his view, the current “mere ticking of the boxes” of the BEE scorecard is not enough. “We see white-owned construction companies only being committed to the minimum of the BEE codes,” said Mofokeng. He said as many people as possible must be included, and the government’s black industrialist programme should be expanded to the construction industry as well. Mofokeng would like to see tenders in the industry going to companies which are at least 51% black owned. Other members of the panel included Thabo Masombuka, CEO of the Construction Sector Charter, and Craig Lemboe of the Bureau of Economic Research at the University of Stellenbosch. Further issues raised during the panel discussion included the need to focus on better skills development in the construction industry, growing the cake in the industry instead of just focusing on shifting demographics, and suspicion of the capabilities of empowerment companies. During question time, a delegate said the industry has now been waiting for years for its own charter with nothing being forthcoming.